Emma Donoghue’s 2011 novel “Room” tracked the plight of a 27-year-old woman trapped in a shed for seven years, where she’s raped by her kidnapper and gives birth to a boy. Donoghue uses a unique narrative device by situating the story entirely from the child’s perspective, starting on his fifth birthday, as he starts to comprehend the nature of his entrapment. It’s a tricky application of subjective storytelling that might seem exclusive to the literary format, but director Lenny Abrahamson seamlessly translates Donoghue’s work into cinematic terms with his relentlessly compelling adaptation. However, the drama owes just as much to its two stars, Brie Larson and newcomer Jacob Tremblay, whose textured performances turn outrageous circumstances into a tense and surprisingly credible survival tale. Equal parts disturbing thriller and coming-of-age adventure, Donoghue’s script remains remarkably faithful to her material. 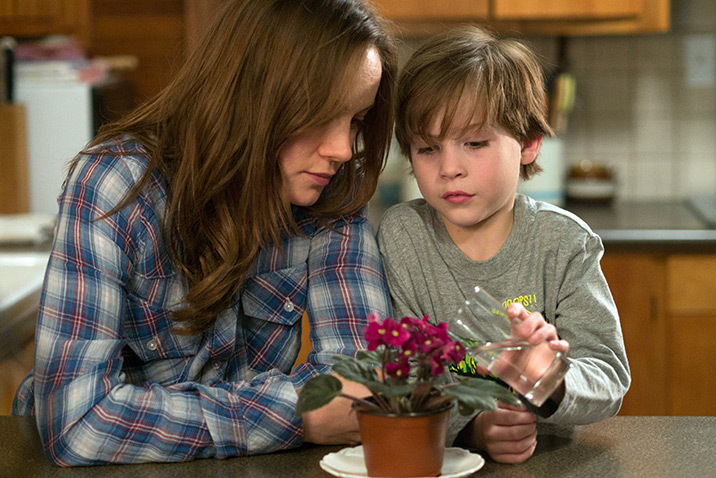 Narrated by the five-year-old Jack, “Room” begins with the character’s limited comprehension of his surroundings. His mother — whom he knows only as Ma — guides him through a daily routine, from exercises to meals, then beckons him into the closet after hours when she’s visited by her menacing captor, a bearded lunatic whom the pair dub Old Nick (Sean Bridgers). Though it’s clear that Old Nick rapes Jack’s mother, Abrahamson keeps the action in the closet, where Jack only hears the creaks of a bed. The encroaching sense of uneasiness about the scenario therefore emerges on two layers, as viewers both know more than Jack about his conundrum and remain trapped within his limited understanding. That’s where Ma comes in. Finally prepared to come up with a scheme for Jack’s escape, Larson’s character enacts a daring plan to smuggle Jack out of the shed, a feat that requires careful preparation with her overwhelmed son. These scenes unfold with a palpable tension that Abrahamson matches only in the ensuing moments, as Jack finally makes his way to the outside world and the movie erupts into a radically different second half. A world away from his last feature, the idiosyncratic rock ‘n’ roll comedy “Frank,” with “Room,” Abrahamson nonetheless shows further evidence of his ability to draw on familiar genre ingredients while twisting them into unexpected tonal directions. The complicated story is aided in large part by Stephen Rennicks’ layered score, which conveys an ambiguous mood every step of the way; with each new hurdle passed, there’s still a lingering sense that Ma and Jack aren’t quite safe. Sometimes funny, elsewhere deeply tragic, “Room” maintains a tricky balance as Jack’s surroundings — and his intellect — continue to evolve. At first referring to objects in his vicinity with proper nouns (Lamp, Skylight, Rock), Jack starts to understand the world in increasingly more sophisticated terms. Cinematographer Danny Cohen initially uses rich grey tones to elaborate on the drab conditions of the characters’ existence — a scheme that pays off in the abrupt shift to the bright white exteriors that arrive in the film’s later scenes. It’s here that “Room” opens up to a handful of complimentary performances. Chief among them is Joan Allen as Jack’s grief-stricken grandmother, who broadens the challenge Larson lays out early on, as they attempt to engage with Jack on his terms while grappling with their dark situation. William H. Macy comes and goes in a handful of scenes as Ma’s estranged father, conveying just enough complexity to probe the uneasy conditions surrounding Jack’s existence. Tom McCamus is equally effective as Ma’s new stepfather, a role fraught with troubling implications that only serve to further confuse the bewildered Jack. Ultimately, though, these unusual developments remain utterly engrossing due to the convincing roles of mother and son. Larson, who first displayed her talent for conveying conflicting emotions in the under-appreciated “Short Term 12,” broadens her range here with a fierce, at times unsettling turn: Warmly maternal at one moment and fuming with near-psychotic rage the next, she imbues Ma with a dynamic range of emotions. But Tremblay faces the arguably greater challenge, appearing in every scene as he alternates between tantrums, fear and bewilderment, never once falling into the trappings of the Creepy Kid cliché found in too many ponderous family dramas. The actors’ deglamorized appearances during their first scenes — they have long, matted hair and pale skin — reflect the absence of any distracting artifice in their performances. As the family unit suffers from adjusting to society, “Room” can’t possibly match the extreme suspense that elevates its first act. Still, it maintains a distinct appeal steeped in the unconventional elements of its point of view. “You have to understand what the world is,” Ma tells Jack when he resists the idea of leaving the only home he’s ever known. 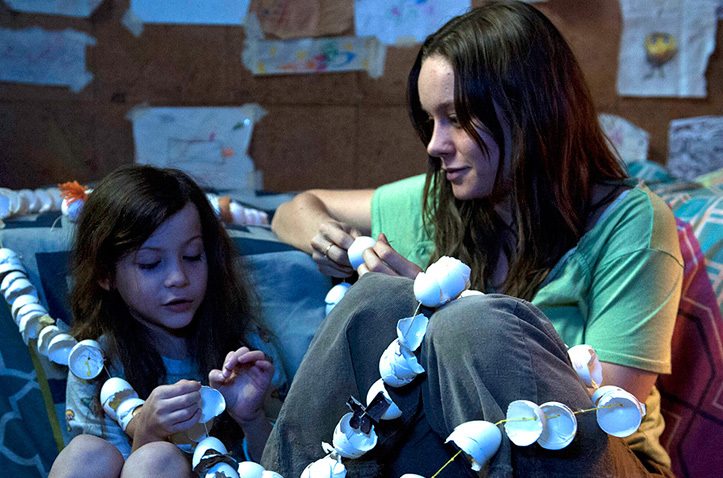 That process forms the crux of “Room,” and keeps its pace in check throughout. Combining a simplistic trajectory with an unshakably creepy aura, the movie leaves the impression that it has more to offer than mere thrills. Despite the plot’s extraordinary circumstances, “Room” tracks the process of coming to grips with the larger world in universal terms. 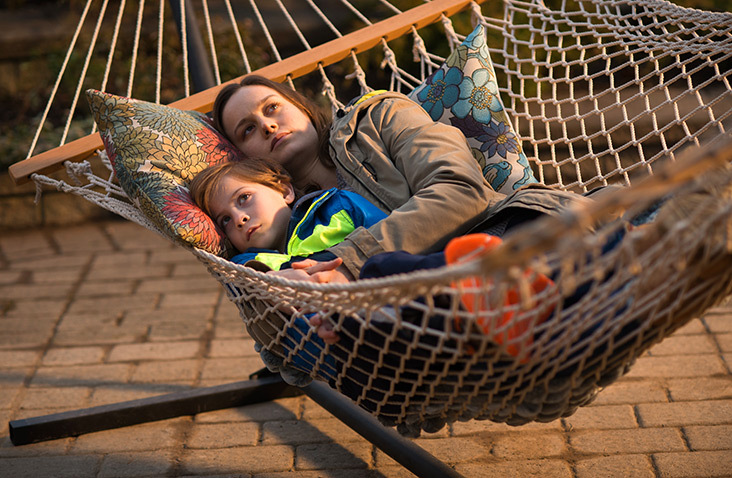 “Room” premiered this weekend at the Telluride Film Festival. It opens in limited release on October 16 followed by a nationwide expansion on November 6.